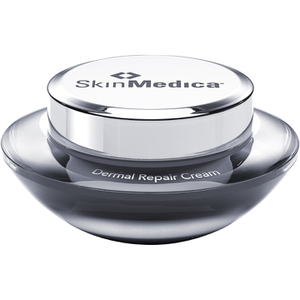 SkinMedica TNS Eye Repair® eradicates wrinkles, fine lines and dark circles around your eyes. 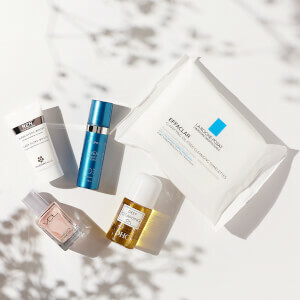 This eye treatment harnesses the power of a patented blend of growth factors designed to increase collagen, hyaluronic acid, antioxidants and protein production, within the extracellular matrix, to promote skin's firmness and elasticity. Apply a thin layer twice daily to the skin adjacent to and beneath the eye. Avoid the upper eyelid and avoid getting product in eyes. strong Human fibroblast conditioned media (TNS) are physiologically balanced, naturally secreted and stabilized growth factors blend that helps improve the appearance of fine lines, wrinkles and overall skin tone and texture. 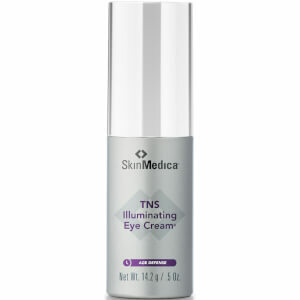 I absolutely love SkinMedica TNS Eye Repair. I only use it at night because when I apply concealer on top of the cream, it seems to flake. Perhaps due to its ingredients. I have been purchasing this particular eye cream for years and will continue. I purchased this crème in March and after using one time, I had an allergic reaction where my entire face swelled up and I needed ER treatment. 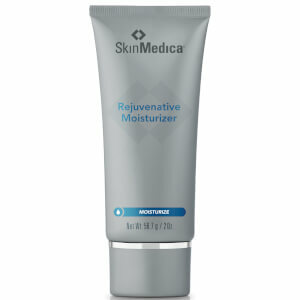 I have been using other SkinMedica products and found them to be effective, so thought I would try the eye repair. I was under the assumption that this was a moisturizing product, but I find it to be very thin and it does not absorb well. It forms little "pills" as I try to lightly rub into the under-eye area, and does not moisturize well at all. My concealer does not go on smoothly over it. I will continue to apply it at bedtime to use it up, but will not be purchasing this product again. I don't know why I waited so long to try this eye cream!! Its the best eye cream I have ever tried . Tried this several months ago and it made a huge difference for the wrinkles, puffiness and sagging under my eyes. I switched to another product that was less expensive and regretted it. I am back to using TNS eye repair and mu eyes are looking great once again. Nothing else like it for me. Have been using this product for a long time. Does not clog pores. Goes on easily and you only need a little bit. I will continue using it. This eye creme is my absolute favorite. It's rich and creamy. Does not irritate. ( I am sensitive around the eyes) I just love it! Just started using it, so don't have anything bad to write about it. A little goes a long ways! Just started using. I noticed it already reduced puffiness. It absorbs nicely and is very moisturizing. Works well under makeup. No irritation. I have not been as satisfied by any eye cream as this one. It truly reduces and, in some cases, eliminates fine lines. And no puffiness either. All you need it the tiniest amount morning and evening to get the best looking eye area ever. No scent and non greasy so you can wear it without interfering with perfume and without make-up clumping over it. I'm now on order number 3. So can't and don't want to get along without it!